A wonderful view of Mount Etna, this is what will strike you right away when you get to Terrazza dell’Etna bed and breakfast. The strategic location of the B & B makes it a point of reference for all those who come here to spend the holidays, for work or for an adventurous excursion. Terrazza dell’Etna bed & breakfast located in Mascalucia in the province of Catania, has a beautiful terrace from which you can admire, looking north, the imposing Mount Etna. Looking towards the South, however, the view reaches to the Gulf of Catania. The B & B, recently built, is born from the desire to share with the guests relaxed and rejuvenating environment for everyone, both children and adults. The rooms have private bathrooms, satellite TV, air conditioning, panoramic view and free Wifi, which is available in all public areas of the bed and breakfast. Guests can enjoy a hearty breakfast (available on request also in the room), even intolerant, vegetarians and vegans. There is also free parking, shuttle service and car rental and a tour desk to plan your excursions to Mount Etna and the visit of the main tourist attractions of Sicily. 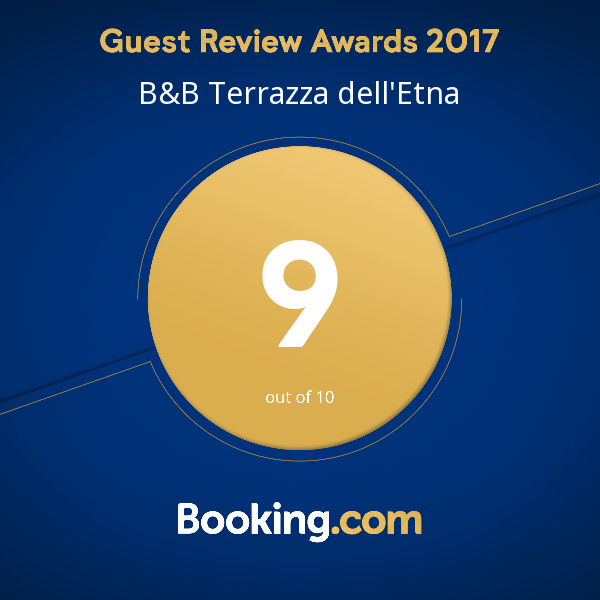 The Terrazza dell’Etna bed and breakfast is just 36 km from Taormina, 33 km from Giardini Naxos and 12 km from Catania-Fontanarossa Airport.